Back in 2015, at what was the beginning of the motherboard RGB craze, I gave Asus' Maximus VIII Hero our top award, but I also asked the company to do more to allow enthusiasts to colour-match their motherboard to the rest of their system. Five months later, the company either listened or happened to have that in mind already, doing exactly what I'd asked for with the Maximus VIII Formula. Here was a board devoid of colour but sporting extensive RGB lighting for colour matching to your PC's colour scheme. Most other motherboard manufacturers have since followed in its footsteps, and if you look at any high-end board these days, few if any have splashes of colour except for the odd bit of audio circuitry and the like, letting their often extensive RGB lighting do the talking and relying on this to help users with colour-matching the board with the rest of the system. There are slightly different interpretations of this, of course, with some of MSI's massive MEG Creation motherboards not offering too much pizazz when it comes to how extensive the RGB lighting is and even Gigabyte being fairly restrained these days compared to the likes of the Z370 Aorus Gaming 7 or the large white shrouds and extensive lighting of the Aorus Z270X-Gaming 7. The trouble is, while having motherboards that are colour-neutral and rely instead on RGB lighting is useful, it has meant that many boards at the moment are getting very "samey" aesthetically. The issue is compounded by the fact that there's not much variation in terms of performance and features either. It's now four years since I reviewed the Maximus VIII Hero, but apart from the addition of addressable RGB lighting, not much has changed. The image below proves my point - these are the last nine motherboards I reviewed here on bit-tech. Apart from the odd splash of RGB lighting and slightly different LED arrangements, it's all black or grey heatsinks and black PCBs. Only the likes of MSI's Titanium motherboards have offered anything significantly different, but even these don't span MSI's entire range, and as yet there are no Z390 or X470 models. The PCB is clearly one way that you can tweak a motherboard's aesthetics, and colour choices like gunmetal grey, white, or titanium don't render it impossible to colour-match it the rest of your PC. Don't get me wrong here : Some of the builds I've seen over the last few years that make the most of modern motherboards' colour-neutral designs and RGB lighting have looked fantastic, but I do miss the vivid colour schemes of boards such as ASRock's Fatal1ty X99M Killer. 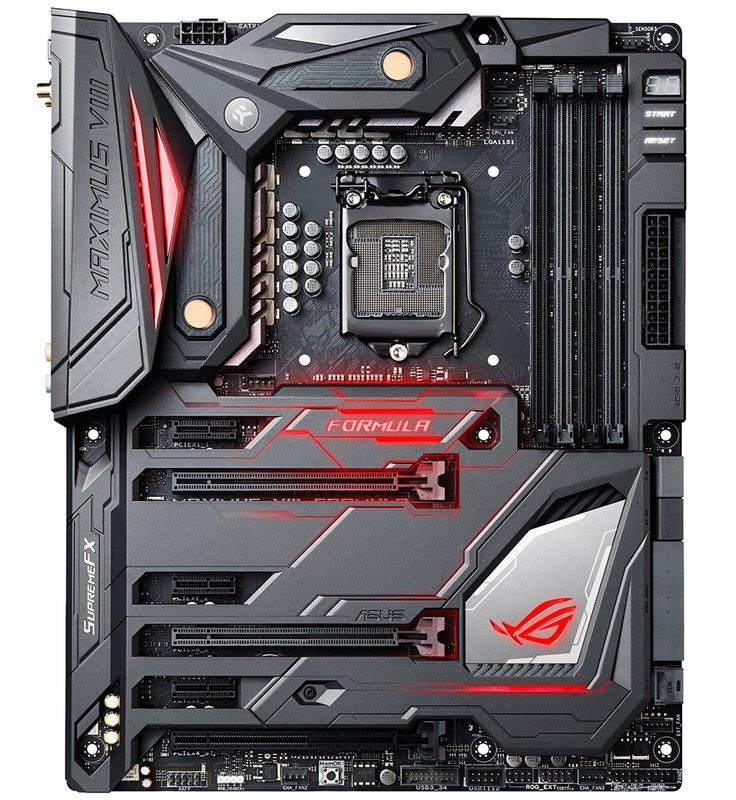 I'm not saying I want to return to the days of big red heatsinks and coloured PCIe slots and SATA ports, but with half a dozen or so generations of very similar-looking motherboards, I'm definitely getting a bit 'board' of things (I'll allow it - ed.). Things aren't looking much different in 2019 either, with Asus sticking to the black/grey/RGB theme with its trio of high-end boards on show at CES. I'm hoping third-generation AM4 motherboards might offer some additional variation, but I'd be interested to hear your thoughts, whether you want change, what that change might look like, or if you're happy with the status quo. Feel free to add your two cents in the comments!